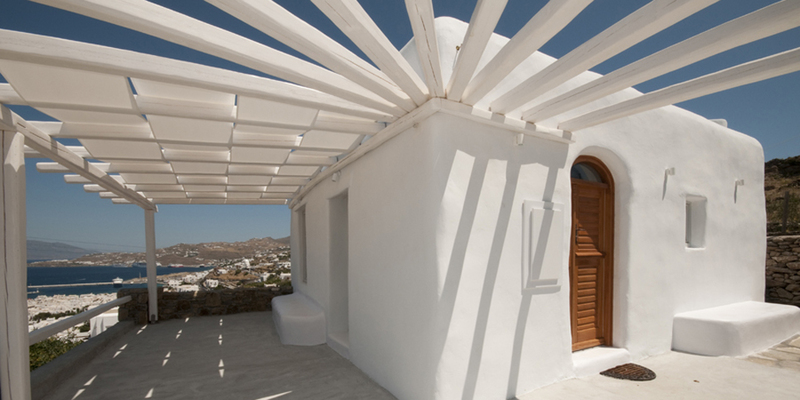 The amazing Pure White apartment, located at the School of Fine Arts district in Mykonos Town, will enchant you with its bright ample spaces of 63 sq. 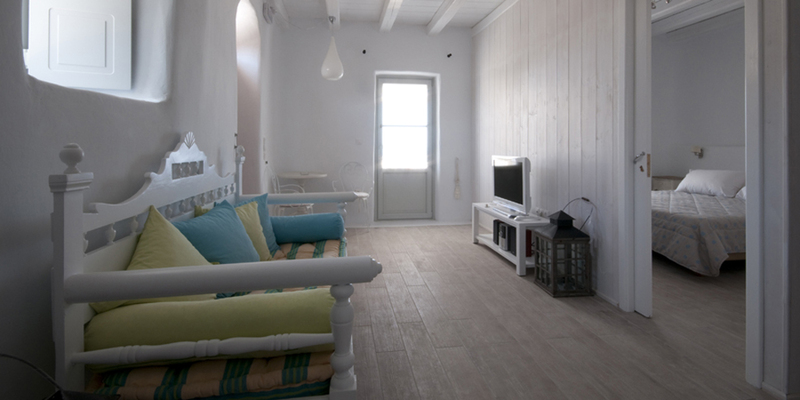 m. and can accommodate up to 3 persons. 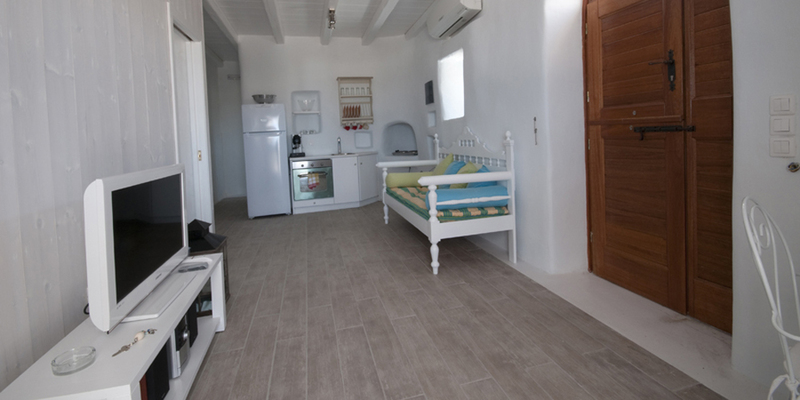 It is the ideal Mykonos Town apartment for an ultra comfortable vacation in Mykonos in an elegant environment including all comforts of home. 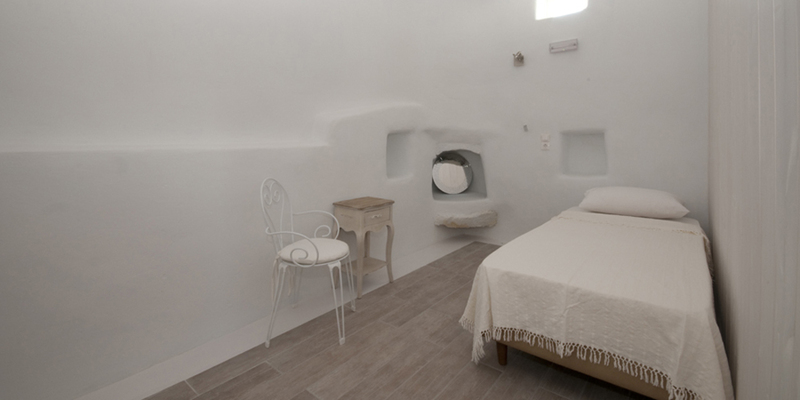 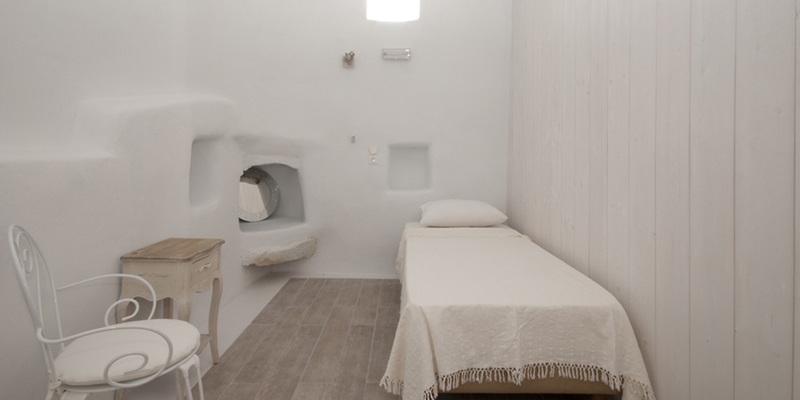 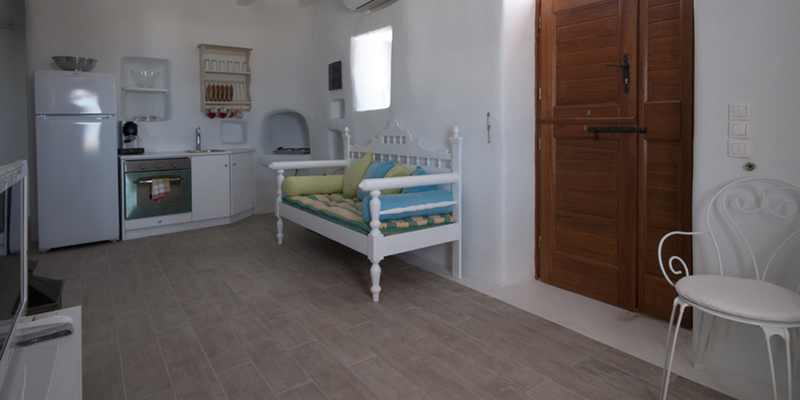 The Pure White stands out among Mykonos Town Apartments for its quality of construction as is possesses wooden floors and ceilings and fine stone details on the walls, a lovely characteristic of the Cycladic style architecture. 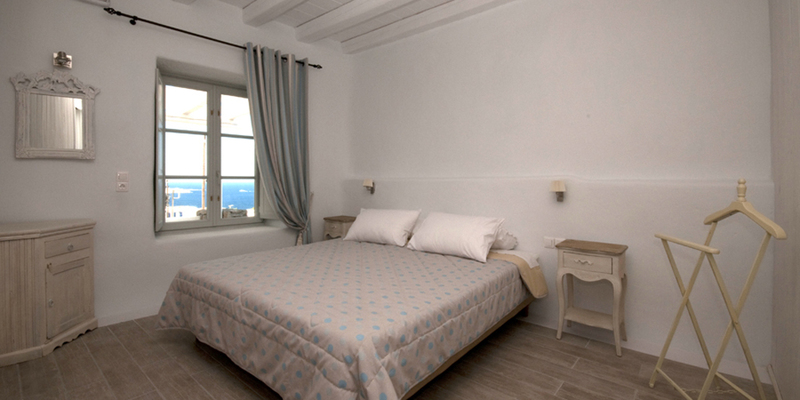 It is an open-plan apartment, fully equipped and decorated with elegant furnishings and warm colors. 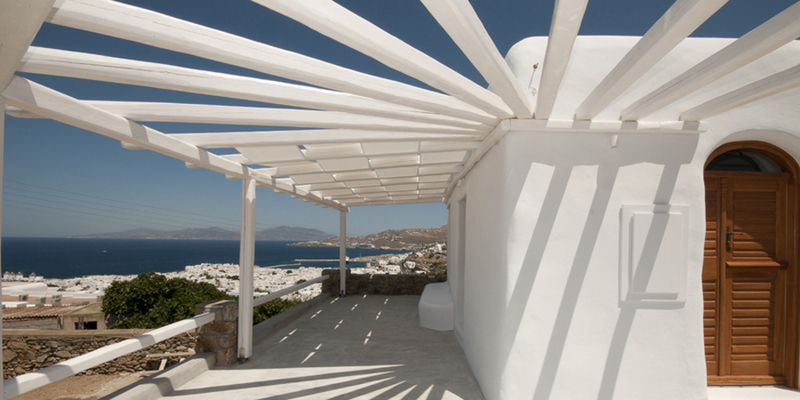 All Xydakis Apartments at the School of Fine Arts district lie at a distance of 470 m. from Mykonos Town entrance.